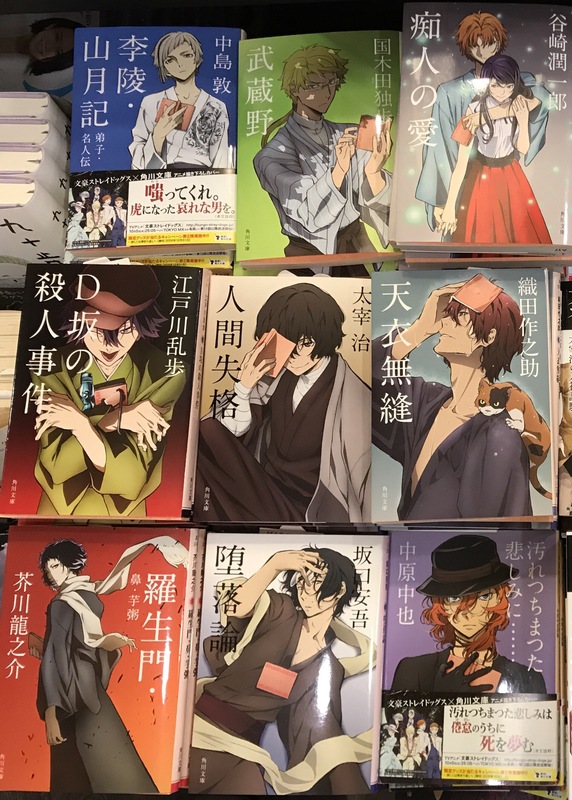 The manga Bungo Stray Dogs (文豪ストレイドッグス) is a manga written by Asagiri Kafka (朝霧カフカ) and illustrated by Harukawa Sango (春川３５). One particularity of the manga is that the characters of the series are named after great literature authors. For example, the main character, a 18 year-old boy who can turn into a white tiger, is named after 中島敦・なかじまあつし a Japanese author of the first half on the 20th century, famous for his works 「山月記」（さんげつき）and 「光と風と夢」（ひかりとかぜとゆめ）. 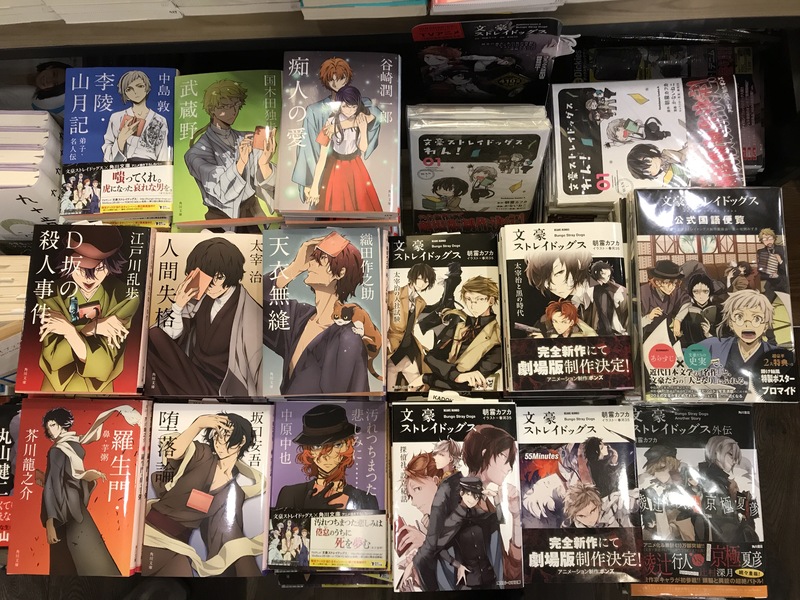 The books on the left side are not the manga itself but novels from Japanese authors with a new cover, designed after the manga. There is even a handbook called “Bungo Stray Dogs, Official handbook of Japanese modern literature and great writers”. This handbook presents each character of the manga named after a Japanese author (some characters are named after non-Japanese authors, but they are not included in the handbook). The handbook then provides a biography of the author with some pictures and a presentation of the author’s most famous works. I have started reading the manga but I think I’ll quit after the first tome. I enjoy reading it, but I am not a heavy manga reader… But I do have the handbook. It gives a good insight into Japanese literature and gives me something to read in Japanese. All the 20 authors that listed in the book are authors I hope to read, one day, in Japanese.